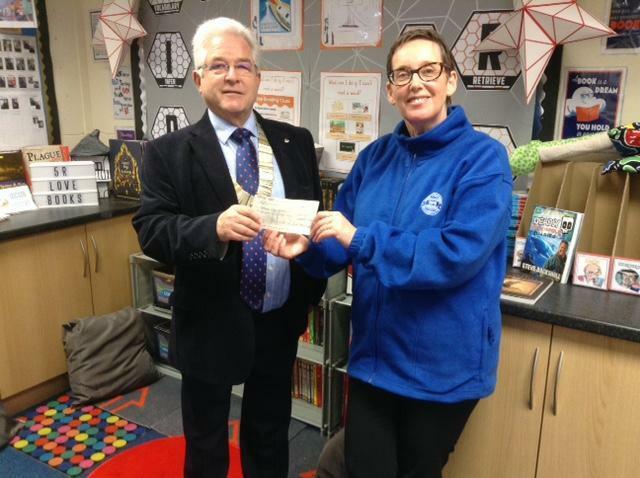 We were delighted to be visited this week by Mr Andrew Scudamore, President of Stourbridge Rotary Club, who presented the school with a cheque for £1000, as a donation towards improving the reading material in KS2 book corners. Mr Scudamore, alongside our school governor Mr Fred Shaw, visited 5R to officially had over the donation to Mrs. Quigley. Stourbridge News were also on hand to record the event for an upcoming edition of their newspaper. The money has already been spent on hundreds of exciting books, which have been readily welcomed by the children. We'd like to thank Mr Scudamore and the members of Stourbridge Rotary Club for their generous donation.